Cindy has hooked me on audiobooks and every summer we tune into Sync Audiobooks for Teens for a season of Young Adult picks. The books are chosen for a teen audience, but we’ve found many that we enjoy. It works like this: each week during the summer two audiobooks are posted. 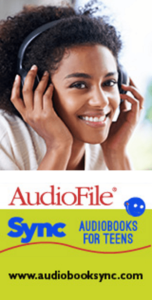 You provide your name and email address to download, which signs you up for an email newsletter from AudioFile Magazine (you can unsubscribe later if you aren’t interested). You need the OverDrive app to download and listen. OverDrive is available for iPhone, Android, Mac, and Windows. 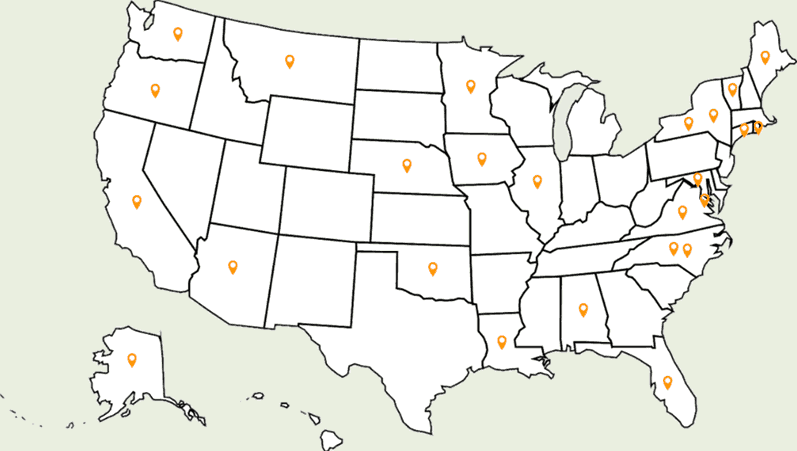 Most public libraries I know use it for audiobook and ebook lending. I think it might be theoretically possible to move the audiobooks between devices, but it is a pain to do so. For that reason, I suggest that you download the books on the device you plan to listen on. By the way, there is nothing stopping you for downloading a book more than once. You DO need to check each week because every Thursday morning the titles change and it is not possible to download offerings from the previous week. Also, I check each book that I download to make sure that all of the parts completed the download process. One week several years ago the files didn’t all download and I missed out. Cindy listens in the car and in the kitchen. I listen while walking Pippa, our dog. Confession, if the book is really good I continue listening after the walk, when I should be back to “serious” endeavors.